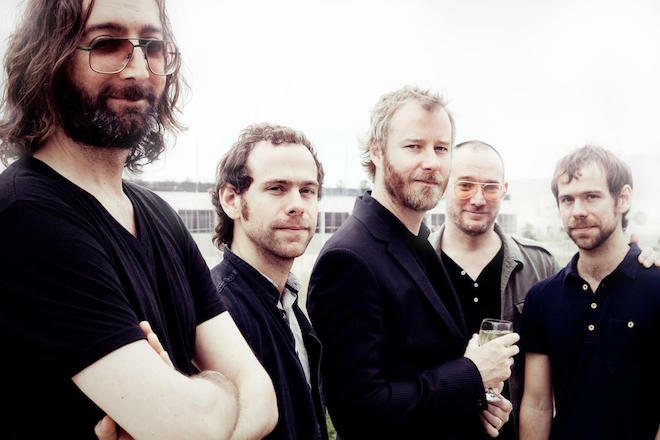 The latest single from The National opens with a plain piano riff, an unhurried lilt reminiscent of Trouble Will Find Me‘s “Pink Rabbits.” On “Carin at the Liquor Store,” as on “Guilty Party” before it, Matt Berninger growls obliquely about blame and love. While the Carin in question is undoubtedly Berninger’s wife, Carin Besser, the other references – notably to John Cheever’s corpse – remain characteristically vague. The result is a dim landscape of regret that, after six albums, has been considerably well-traveled. “Carin” is so evocative of the band’s past work that it almost feels like a redundant addition to the band’s oeuvre. That’s likely the point, or beside it: The National are not just surveyors of loss but acolytes of its continual recurrence. A foregone conclusion, indeed, that our capacity for change has limits – that sadness is never entirely new and despair never entirely gone. At least the band keep making it lovely. Sleep Well Beast is out September 8 on 4AD.